Learn the Cherokee Language! No prior knowledge of the language is required to attend, but be aware that this is a language immersion experience. Coffee and cookies are provided. 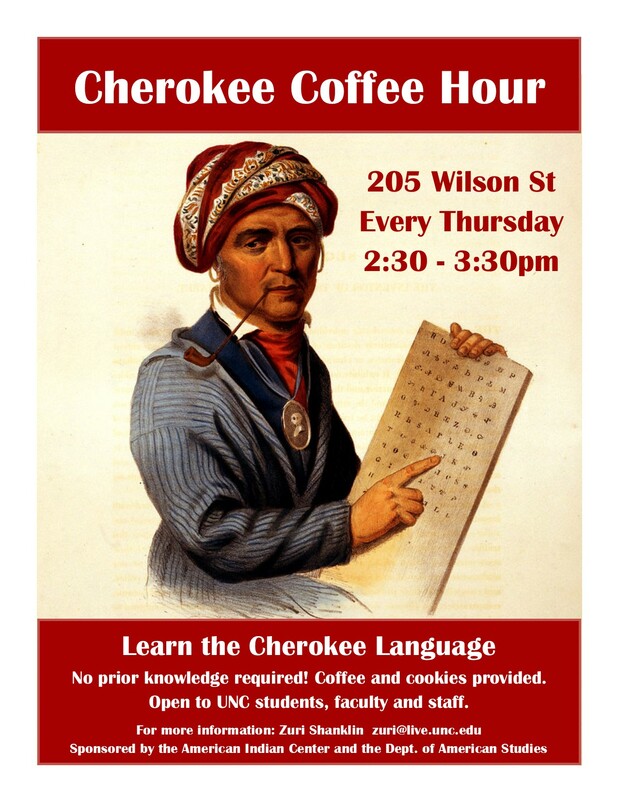 All AniKahwi (Cherokee Coffee Hour) gatherings take place every Thursday during the semester between 2:30-3:30pm at the American Indian Center (205 Wilson Street, Chapel Hill, NC 27516).